As a small business owner, you understand the importance of priorities like no other. How you manage your priorities determines whether you fail, just stay afloat, or grow and prosper. You’ve learned how make every dollar count. 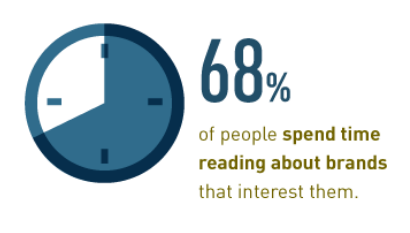 That’s why content marketing should be your next investment. It’s the way to get the most out of your marketing budget. It’s the solid foundation on which all other marketing efforts thrive. You don’t have to take our word for it. Study after study shows it. Let’s explore the data that shows why content marketing makes so much sense for small business. What Is “Real” Content Marketing? Content marketing isn’t just starting a blog. It’s not building a website and waiting for people to show up. It’s a comprehensive inbound marketing strategy. It’s built around the creating and distributing of content that your customers find valuable in their lives. Content marketing isn’t a campaign. Campaign results are very temporary in nature. Content marketing is a long-term, sustainable strategy that pays you back over time. With regular maintenance, those returns continue to grow year over year. “Real” content marketing is a solid foundation. Upon this infrastructure, every marketing strategy becomes more effective. The effects become more enduring. As a small business, you grow and thrive. Wow! Content marketing sounds great, but what does it do for small business? You need results you can see and touch. Small business benefits from content marketing in 9 essential ways. Content marketing generates 3X the leads for every dollar you spend compared to traditional methods like ads. Ads have their place in a marketing strategy. But without content marketing, your ad spend goes way up. According to eConsultancy, 73% of businesses aren’t happy with conversion rates. They see the cost per click rising for pay-per-click ads. They see clicks evaporate as they never hear from that visitor again. The same study found that brands investing in content marketing saw 12 times the leads over the length of the study. But more importantly, those leads were 5X more likely to convert into paying customers. These numbers may seem unreal. But there are some very real reasons why content marketing works so well. We’ll discuss them in the upcoming sections. Within 5 months of content marketing, an Oracle study showed that customer acquisition costs drop by as much as 80%. In traditional marketing costs go up and up year after year. It gets more expensive to get those key spots and earn ad clicks. Why content marketing is so different comes down to the fact that acquisition costs continue to decline over the next 24 months. Maintain it. And you’re looking at a long sustainable future for your small business. Ask a person why they clicked on an ad. Ask them why they filled their cart up and complete a checkout. Why did they schedule an appointment? 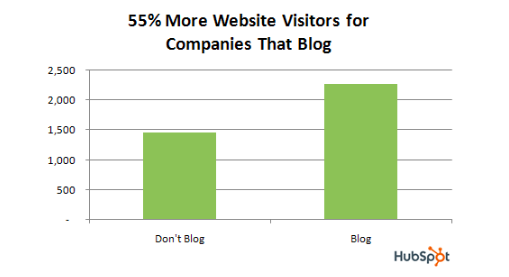 Around 45% will click because you had a compelling offer. But nearly double that say they clicked and converted because they recognized your brand. Content marketing is the most cost-effective way to get seen, get noticed and become a brand that people know. Traditional advertising relies on expensive media outlets. Primetime TV commercials and billboards are among them. It relies on annoying repetition to drill a brand into the customer’s mind. Content marketing focused on customer experience to generate brand awareness. Luma Partners, a financial research group, tracks business returns for various marketing methods. They report a steep decline in the effectiveness of traditional marketing. Big businesses are scrambling to find more effective methods. But it’s hard for them to change their old ways. As a more nimble small business, you can start investing in content marketing today so your returns don’t look like this. Big companies have millions to spend on a single ad campaign. On top of this, they often have a brand behind them driving sales while they sleep. As a small business, you don’t have that luxury. You work for every lead you generate. That’s why content marketing makes so much sense for small business. It’s how businesses generate the brand awareness that these behemoth companies have. You can do it without the million dollar price tag. 78% of people say they feel “connected” to brands that provide them with custom content. 57% of people will view at least 1 piece of content per month from a brand they have connected to. This keeps you top of mind with that customer. 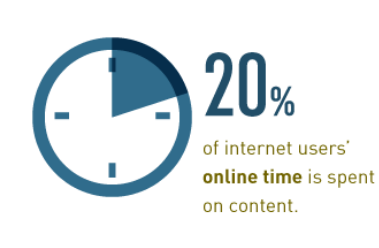 DemandMetric reports 68% of people say that they spend “considerable time” viewing the branded content. A repeat customer spends 67% more than a new one with each subsequent visit. Customer lifetime value (CLV) soars when you simply nurture loyalty. Increasing retention by 5% can increase profits by up to 100%. Happy customers bring in more happy customers. Content marketing has many talents. But it was made for retention. It keeps people coming back for more. 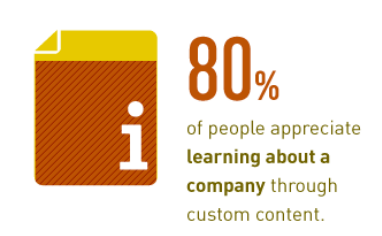 82% said they have “positive” feelings about a company that provides them with custom content. 80% say they appreciate companies that allow them to learn more about products, services and the industry through content. Content marketing leads to happier customers. Leverage this by soliciting reviews in a strategic way. Get more positive reviews. On top of this, because people feel connected to your brand, they feel they have an invested interest. If a brand “does them wrong” it reflects not just on you. They feel it reflects on their own judgment. Because of this, they will seek to understand when something doesn’t go right. Someone who isn’t connected to you might assume you’re just incompetent. But because you’ve engaged them rather than hard-selling them, they’re likely to approach you privately when they have an issue rather than voicing their opinion on social media. You have the opportunity to make it right and avoid a negative review. In today’s increasingly online marketplace, even small local businesses suffer from bad reviews. Around 90% of customers check reviews before buying. For every star you lose from a top 5-star rating, revenues go down nearly 10%. For every star they go up, you’ll see revenues rise as well. Customers overwhelmingly want businesses to reach them through content marketing. Let’s look at just a couple more stats that really hit this point home. As many as 30% of Internet users in the US have an ad blocker according to Statista research. This number grows year over year. If you’re marketing to a younger demographic, the rates are even higher. Consumers cite 3 top reasons for using ad blockers. Content marketing is none of these things when done right. 80% of people prefer viewing content to receiving an interruptive ad. 60% say that content provides them with vital information that influences their buying decisions. 80% of consumers now search online for helpful information before deciding to buy a product or service. If they find your content, you’re the one who can turn that lead into a paying customer. If they find your competitors, that’s another story. 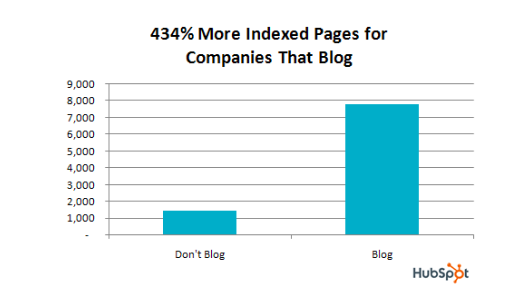 According to Hubspot, brands that have a blog have 434% more pages indexed by search engines. This means 434% more opportunities to rank on page one. This is 434% more chances for people to see you in the organic search results. This translates to more visitors. Traditional advertising had its place. In the 20th Century, marketing drove the US economy to new heights. It delighted consumers with the latest must-have products, toys, vehicles, and more. They had to bombard customers with repetitive messages and rely on interruption to get attention. Some businesses even turned to the much hated cold calling. This often did a disservice to customers. If they needed to learn more about a product or service before buying, they had to rely on a salesperson. The Internet blew advertising wide open. Modern websites can host more information that you can publish. Social media has given us a newer, friendlier way to connect with people. 72% prefer that brands reach them with offers and information through email. Yes, email marketing is an important part of content marketing too. Up to 70% of a purchase decision is now made online. That’s close to 100% of ecommerce. Content marketing aligns with how 21stCentury customers buy. Humans are naturally curious. If you simply give them the means to learn about your brand, products, and services on their own, you will earn their trust. You’ll earn a new customer. No one wants to hear it, but the sad truth is that content marketing doesn’t always work. You can invest a lot of money over a long period of time and get lackluster results. The great news is there’s a clear reason why content marketing fails. You can avoid it by steering clear of these pitfalls. Some businesses learn about content marketing. They think, wow! Look at the statistics. I can save so much money. So they start a blog. Or they create some email content. Or they make some videos to share on social media. They may even do some keyword research. Then they wait. They wonder why content marketing isn’t working. In reality, content marketing isn’t one thing. It’s a comprehensive system of strategies that work together to get results. If a business leader doesn’t understand why content marketing works so well, they get discouraged. Content marketing is a long-term strategy that gains momentum with time. When you first start applying your consistent strategy, results may look abysmal. You may think you’re off track. Fortunately, there’s a way to know you’re making progress. You want to increase revenues. You want to grow your business. You want to cut costs. You can use early indicators called micro-conversions to know you’re moving in the right direction. Qualified traffic — a savvy marketer won’t look at pure traffic volume. To indicate success, that traffic should be coming in the form of the audience you’re targeting who are likely to buy. 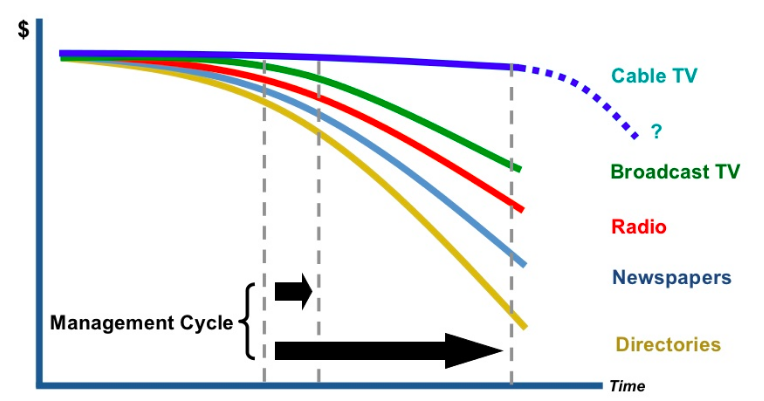 Following the Funnel — how many people follow a funnel that you set up using a trail of content. Comments — comments on content can be thought of as warm leads. These are people who took the time to interact with you in a meaningful way. Shares/Likes — you have to be careful not to put too much stock in these. If you don’t have processes in place to turn engagement into leads, these interactions have little value. But when leveraged to convert, they’re valuable. Referral traffic — the number of people coming in through links you’ve placed on other websites. Return on other marketing efforts — costs per click on ads will slowly go down as the conversion rates from those clicks go up. You can track all of this using social media analytics, Google Analytics, and ad analytics. Content alone isn’t why content marketing works. What would happen if you painted the most beautiful painting ever conceived? Then you hid it in a dark closet. Would anyone see it? Would anyone appreciate your painting? Would anyone tell you how great it is or offer you $10 million for it? No. The Internet can be a dark closet. If you don’t open the doors wide and direct the light into it, no one will see your content. You’ll get no value from it. You need the following components to build a content marketing strategy that gets the kind of results we’ve discussed thus far. Let’s look at the primary components of a comprehensive content marketing strategy. You need to be clear about who your audience is. All content will be built around the specific goals, challenges and traits of these personas. Each piece of content has a clear goal, or objective if you prefer. It has one primary job. Its success or failure is determined by how well it does this job. Some content has a goal of generating brand awareness. If that content helps you do this, it doesn’t matter if that content didn’t directly generate a lead. You need content that inspires, entertains and informs. It should be on topics that people are looking for. It should further brand awareness and build trust. Content isn’t the same as “sales writing”. Whether visual, audio, words or games, content creation is the art of gentle yet impactful persuasion. Content marketing just doesn’t work without a responsive website design. Your website is your home base. If it’s slow or hard to navigate, then people will leave. They won’t come back. Search engines like Google are watching how people respond to your website. If they see that you’re providing a poor user experience, they will demote your site in search rankings. Why would they want to have a website on page one that people don’t like? This is ultimately what SEO (search engine optimization) is all about. It’s about showing search engines that your site delivers the best answer to a person’s query. And you do it while providing the best experience possible. If you’re going to invest in content marketing, SEO has to be a part of your strategy. One of the reasons content marketing is so effective is because it leverages search engines to get your brand in front of more people. Without it, two things will happen. 1. You’ll have to spend a lot more time and money trying to get people to see your content. 2. You’ll never get that return on investment we’ve been discussing. With SEO you’ll see your content take on a life of its own. People find that content among the 3 billion searches that take place online every day. Social media introduces people to your content. Content is a lot like a seed. It needs water, nutrients and sunshine before it can become a thriving plant. Use social to get people excited about the content you publish each week. You know why content marketing is so effective? It can reach people along every step of the buyer’s journey with the right message at the right time. You start a blog and share on social media to generate brand awareness. But you need a system in place to gather and nurture leads. Email content marketing is one of the most effective ways to nurture leads and retain customers. Paid advertising may seem like it’s on the other end of the spectrum. But the most successful business are using strategic pay-per-click ads. They complement their content marketing strategies. 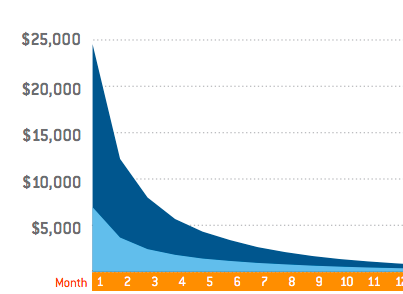 Content marketing takes 6 months or more to start gaining momentum. It’s typically one year before you’ve achieved some of those amazing returns. But as a small business, you need to generate revenues now. Using paid advertising with content marketing — at least in the beginning — gives you a steady stream of income to keep the day to day moving. As content marketing begins to carry more of the weight, you may choose to reduce your paid advertising budget. This is when you’ll reap the rewards and see your business grow. Because you built your business on a strong foundation, you’ll grow faster. You’ll have fewer growing pains that many unprepared businesses face. We don’t want to leave you with the impression that you get to the 6-month to a year mark and never have to market again. As the momentum builds, you’ll find that maintenance is needed to keep your content marketing working optimally. Your website may become bogged down with content that is no longer relevant. It may no longer be factually correct. Periodically review existing content. Either update it or salvage what you can. Delete the rest. Review your reports. Pay attention to which pieces of content are performing best. With whom are they performing best? Why are they performing so well? Use this knowledge to improve your strategies as you grow. Your “almosts” are pieces of content that didn’t quite meet their objectives. But they were close. They may just need some tweaks to take them over the top. Give them another shot. Revitalize them. Then share them again on social media. Your industry changes each year. New technologies disrupt what you do. People may be talking about new things. Stay current and continually deliver new, relevant content. There are many data-driven reasons why content marketing should be your next investment. It’s a firm foundation on which all other marketing efforts thrive. It reaches people the way they strongly prefer. As it gains momentum, it slashes acquisition costs while retaining loyal customers. It levels the playing fields. It’s the smart way to market your small business. Learn more about how our digital marketing agency can help you with small business content marketing strategies that grow your business. Contact us today!